Winter brings frigid temperatures, icy winds, and plenty of snow. Just as people battle Mother Nature at this time of the year, so do trees, with one major exception: trees can’t avoid exposure to the elements. 1. Put composted organic mulch under your tree in the fall or early winter to help retain water and reduce temperature extremes. A thin layer of mulch will act like a blanket and give the tree’s roots a little extra winter protection. 2. Give your trees a drink. Winter droughts require watering as much as summer droughts. If temperatures permit, an occasional watering during the winter on young trees can be a life saver. But be sure to water only when soil and trees are cool but not frozen.3. Prune your trees. Winter is actually one of the best times to prune because it is easier to see the structure of trees without their leaves. But limit pruning to deadwood and poorly placed branches in order to save as many living branches as possible. ard, plastic guard or a metal hardware cloth. Wrapping trees with burlap or plastic cloth also can prevent temperature damage. Just remember to remove the wraps and guards in the spring to prevent damage when the tree begins to grow. Trees provide a wide range of benefits to the landscape, to wildlife and to ourselves, but how can you tell when your tree becomes unhealthy? Degeneration over time is natural and in the right environment deadwood provides vital habitat for a huge range of wildlife. In the wrong environment however, unhealthy trees can also be liabilities. Weak, diseased or stressed trees can cause damage to property and personal injury but in many cases preventative measures can significantly reduce risks and prolong the tree’s life. One of the first measures you can take is spending a bit of time finding a reputable local arborist. 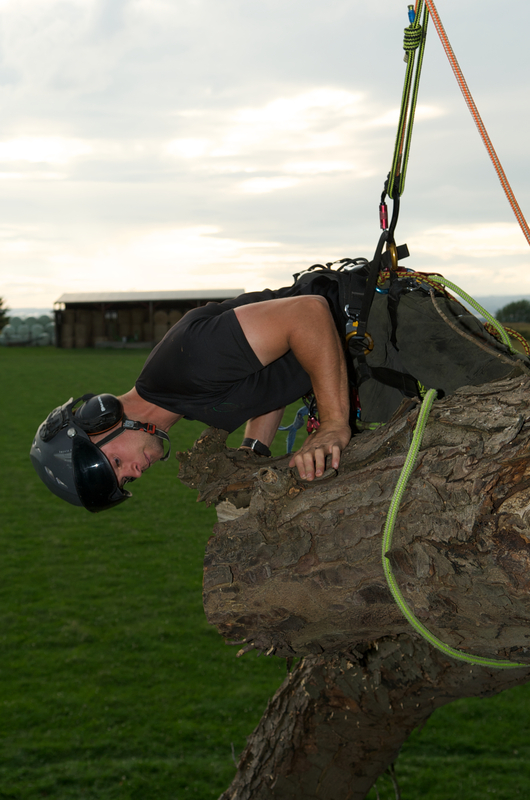 Anyone can call themselves a tree surgeon and offer a service but this does not guarantee quality of work or that it will be carried out safely. Take a look at our blog entry: How to Avoid Rogue Trader Tree Surgeons for more information on selecting an arborist. A reputable arborist will be more than happy to visit and offer advice on your trees and they will provide a free, no obligation quotation for any work that needs doing. 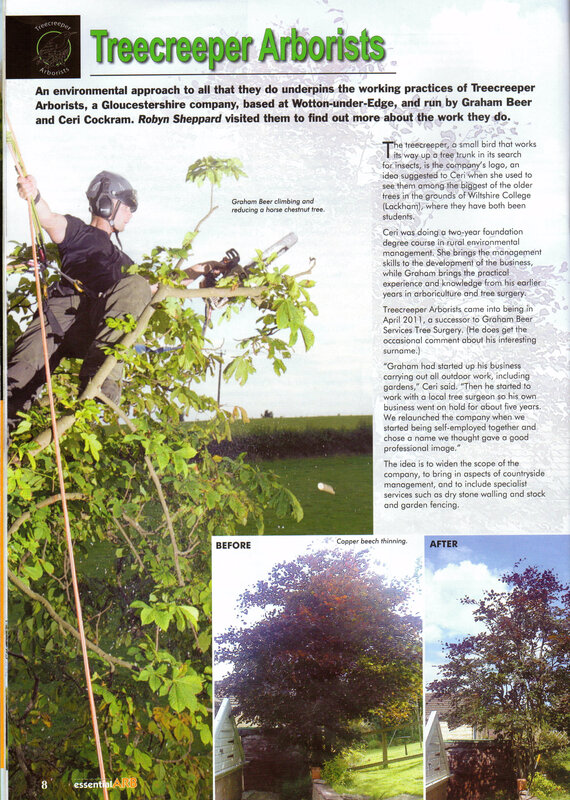 Arborists are highly trained and experienced and will be invaluable to you as a source of personal advice. If you have trees on your property, you have a responsibility to keep them healthy and safe. Regular tree care can help to identify hazards and preventative measures can be taken to reduce the likelihood of damage to people or property. Are there dead branches in the tree? Are fungi present at the base of the tree? Have the roots been broken off, injured, or damaged by lowering the soil level, installing/repairing pavements, or digging trenches? Regular routine care should work out cheaper and is much better for your trees than sporadic hard pruning to get trees back under control. An experience arborist will be able to put together an ongoing management plan for your trees, saving you the need to remember what needs doing when. If you live in Gloucestershire or the surrounding counties, visit our website at http://www.tree-creeper.com to contact us to arrange a free visit and health check for your trees (aerial inspections will be quoted for). If you live outside of our area, please feel free to contact us for advice over the telephone or by email.